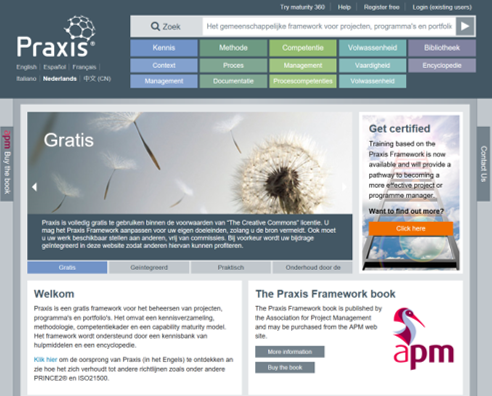 We're delighted to announce that Praxis Framework is now available in Dutch thanks to the tireless work of our volunteer team from the Best Practice User Group in the Nederlands. Praxis is now available in six languages and work is well advanced on the Bahasa Indonesia version. We have just started putting a team together for a Polish translation and would welcome interest from any potential volunteers. If you are interested in becoming a volunteer translator to expand the reach of our free project, programme and portfolio management framework, please contact adrian.dooley@praxisframework.org.